If you think O'Hare International Airpot is the busiest airport you've ever been to... you're right. 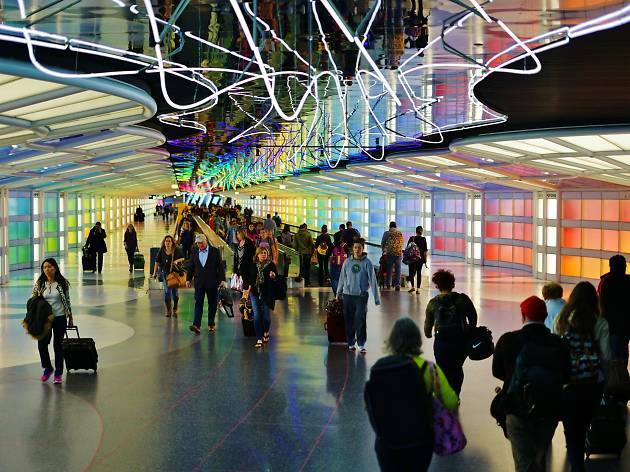 The latest numbers from the Federal Aviation Administration reveal that O'Hare beat out Atlanta's Hartsfield-Jackson International Airport as the country's most bustling air transportation hub in 2018. 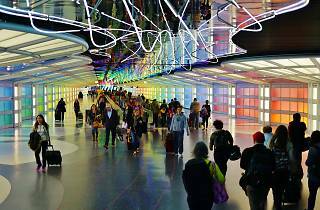 O'Hare facilitated 903,747 incoming and outgoing flights over the past year, while Atlanta hosted 895,502. 2018 was O'Hare's busiest year since 2007, with more than 83 million passengers passing through its various terminals (a 4.5 percent increase over the number of people who stepped inside the airport in 2017). O'Hare and Hartsfield-Jackson have been at the top of the list of the nation's busiest airports for many years, with Atlanta holding the title for the past four years after it unseated Chicago in 2014. While O'Hare's perpetually crowded gates and corridors are a cause of headaches for many travelers, outgoing Mayor Rahm Emanuel sees the ranking as confirmation that his decision to give the city's airports billions of dollars was warranted. "The record number of passengers in 2018 is a testament to the investments we are making to build Chicago’s aviation future," Emanuel stated in a press release. Having the busiest airport in the country may be a dubious distinction, but perhaps O'Hare's new international terminal will make catching a flight a less stressful experience?